Home Furnishing Consignment | The First Choice for Furniture Consignment on the Main Line! 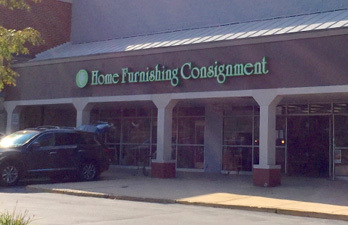 Home Furnishing Consignment is the Philadelphia Main Line’s premier fine furniture consignment store specializing in preowned custom and name brand furniture. We have been in business since 1999 and have over 6500 square feet of showroom/retail space. As we are located in the heavily trafficked Gateway Shopping Center that includes Trader Joe’s and Staples, we enjoy a steady flow of customers. Along with fine used furniture we also sell art, mirrors, lamps, fine crystal, and home décor items. Additionally, we carry new upholstered goods, from Klaussner Home Décor, and designer items from Crestview Lighting, and Kenroy Home. 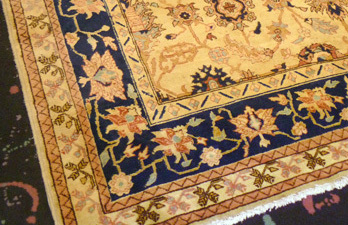 Our mission is to provide the highest quality consignment and sales services executed with honesty and integrity. Come meet our experienced and friendly staff, browse our extensive inventory, and find some amazing deals! Consign With Us! It’s the smart and easy way to sell! We take care of everything from pricing, merchandising, marketing, as well as third party delivery options. Conveniently located on the Mainline in Wayne, in the bustling Gateway Shopping Center, we’re closer than you think. "Shhh! Best kept secret around. While searching for items for our school's silent auction, I found Baker and other top name furniture, and now that I've redone our living room for a fraction of what our decorator budgeted, I can let you know about this find." "Great store! Was looking for Barrister bookcases and they did not have any, left my number and a couple of days later they called to let me know a set had come in. Stopped in and they had a great pair of bookcases at a great price. Service and convenience was great. I'll keep going back. Terrific furniture consignment store!" "This is a big store, so take some time to take it all in. I have purchased many pieces of new and used furniture, and also consigned many items. The staff is helpful and knowledgeable, the prices can't be beat, and I was very pleased at how quickly the store was able to sell my items"
"Great find! I stumbled upon this gem while at another store in the shopping center and had a wonderful time browsing through all of their stuff. It is a big place with a wide variety of items to look through. The owners are great...very friendly and helpful and they really know their trade. 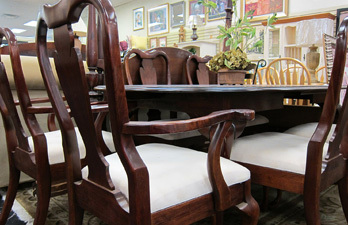 It is one of the best furniture consignment stores that i have been and i will highly recommend it to anyone." "The Best Furniture Consignment Store Around! I love to redecorate, so this is the perfect place to buy and sell. They have some really unique new and used furniture pieces, plus great accessories. It's really high end, so no junk or clutter. They carry a lot of the name brands including Baker and Pennsylvania House. It's a fun place to browse, so I encourage you to stop by often!"